You read labels, shop smart, and buy the best food you can to help your dog live a long, healthy life. You may even prepare some or all of your dog’s meals yourself. So, do you really need to think about incorporating “extra” ingredients, such as probiotics, herbs, supplements, essential fatty acids and superfoods, into your dog’s dietary regimen? Yes! When used properly, these “nutritional boosters,” as I call them, can address specific health concerns or just “turbocharge” the overall nutritional impact of your dog’s diet. To help understand the growing popularity of supplements and superfoods for dogs and how they can benefit your dog, I turned to holistic veterinarian Doug Knueven, D.V.M., known as “Dr. Doug,” owner of Beaver Animal Clinic in Beaver, Pennsylvania. Superfoods for Dogs and Supplements for Dogs — Why Are We Hearing About Them So Much? 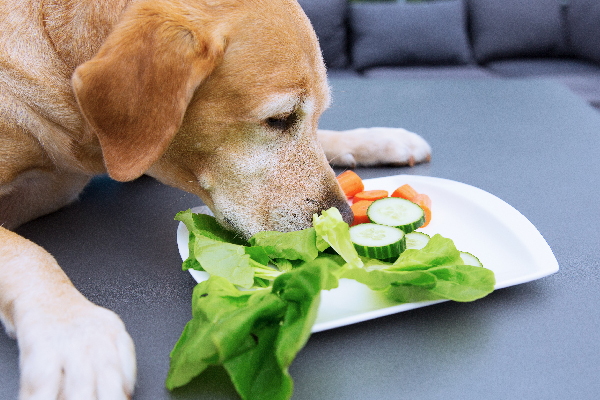 What superfoods should you feed your dog? Photography ©chris-mueller | iStock / Getty Images Plus. 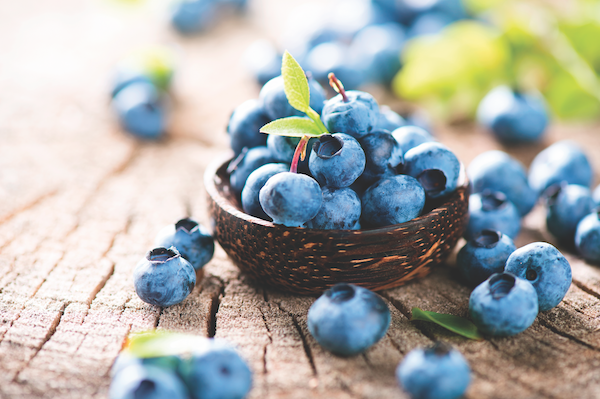 Blueberries are among the superfoods for dogs. Photography by Subbotina Anna / Shutterstock. Dr. Doug said that he views supplements and superfoods in two different ways: filling a general dietary void and addressing a specific health condition. “Just adding a high-quality fish oil supplement or incorporating some fresh berries into a dog’s diet can help dramatically boost the nutritional quality,” he said. In addition, dogs who suffer from or are susceptible to a health condition can receive a therapeutic benefit from targeted foods and supplements. For example, a high-quality joint supplement can help treat degenerative orthopedic disease, but it’s not necessary to wait until the dog has arthritis to give the supplement because it can help keep the joints healthy throughout life and serve as a preventive. Preventing disease is often the difference between conventional medicine and holistic medicine, according to Dr. Doug. Incorporating superfoods to turbocharge your dog’s diet is a perfect example. “Superfoods are nutritional ingredients that are known to benefit multiple systems of the body in a way that promotes optimum health, and in so doing may help prevent chronic diseases that often accompany aging,” he said. He pointed to a 2005 study that appeared in the Journal of the American Veterinary Society involving Scottish Terriers, a breed prone to bladder cancer. The researchers found that dogs who ate fresh vegetables three times per week had a 70 to 90 percent reduced risk of developing bladder cancer than those whose diets were not “turbocharged.” “It seems likely that if simply consuming fresh vegetables helps prevent one kind of cancer, it can also help prevent others,” he said. “I sometimes joke that I’m a ‘holistic’ veterinarian because people come to me with a ‘whole list’ of supplements they give their dog,” Dr. Doug said. However, he said that more is not necessarily better and can even be detrimental. For example, people tend to think that supplements are benign, but that isn’t true. “Herbs are potent and can interact with each other or with conventional medications, while certain vitamins and minerals can impair the absorption of others,” he said. Tell us: What supplements or superfoods for dogs are you a fan of? The post Supplements and Superfoods for Dogs — What You Need to Know appeared first on Dogster.